The parents of the Boston Marathon bombing’s youngest victim have spoken out, urging federal prosecutors to spare convicted bomber Dzhokhar Tsarnaev from the death penalty. In an essay published on the front page of Friday’s Boston Globe , Bill and Denise Richard, parents of 8-year-old Martin Richard, write that they support the Department of Justice “taking the death penalty off the table in exchange for the defendant spending the rest of his life in prison.” Tsarnaev’s trial ended in conviction on all 30 counts against him last week, and the next phase — to determine his sentence — will begin Tuesday. Three people, including Martin, died and 264 were injured in the bombing. 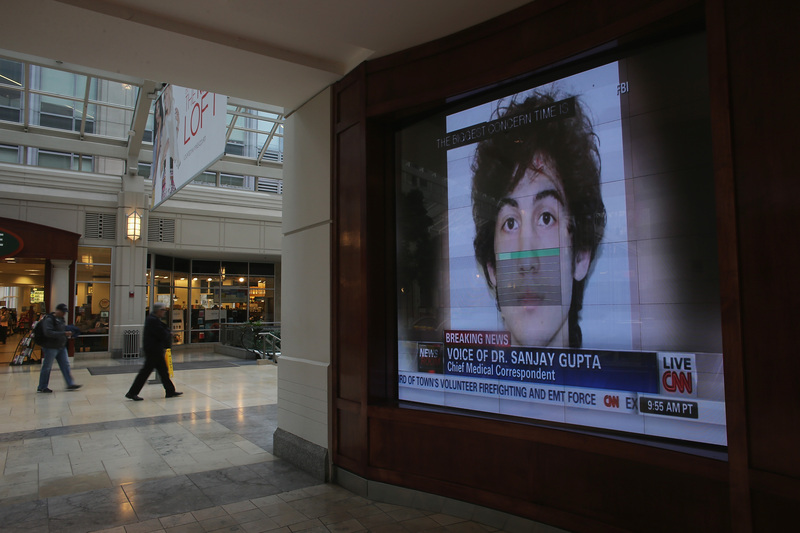 Prosecutors have argued that Tsarnaev, an ethnic Chechen who was only 19 at the time of the bombing, deserves execution, for an act that the defendant claimed was intended as revenge for U.S. military campaigns in Muslim-dominated countries. Tsarnaev and his older brother Tamerlan moved to the U.S. as small children. Tamerlan, 26, was killed in a gunfight with police following the bombing, and Tsarnaev’s defense attorneys have argued that the younger brother was simply following the lead of his ideologically driven older sibling. Massachusetts ruled capital punishment unconstitutional over thirty years back, and it remains to be seen whether the Richards appeal has any effect on the sentencing phase, during which more testimony will be heard. The case’s jury is specifically composed of “death-qualified” jurors — twelve individuals who stated they were neither for or against the death penalty. A vote for the death penalty must be unanimous. In such a case, according to The Guardian, Tsarnaev would be transported to a faculty in Indiana to be executed. I care deeply about their views and the views of the other victims and survivors… As the case moves forward we will continue to do all we can to protect and vindicate those injured and those who have passed away. The sister of Sean Collier, a police officer who was shot and killed by the Tsarnaev brothers in the bombing’s aftermath, has also asked prosecutors to halt their push for a death sentence. The families of the other victims, Krystle Campbell, 29, and Lingzi Lu, 23, have so far not weighed in. For their part, the Richards attended almost every day of Tsarnaev’s trial, and have clearly had enough of the emotionally exhausting process.